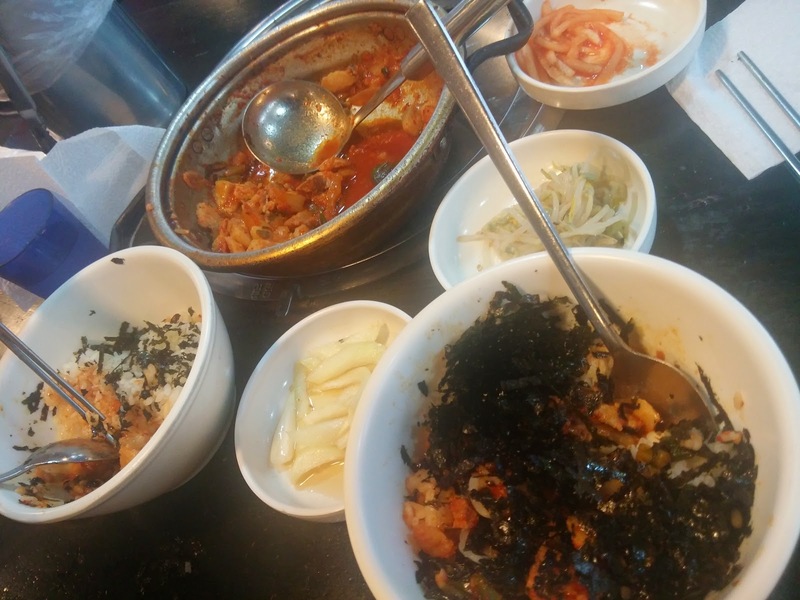 Recently we took the time to go to Cheonan Terminal (천안 터미널) to try different kinds of food, seeing that 6 months has already passed within the blink of an eye and I've only been eating certain foods all the time. There're actually many restaurants within the entire area but we actually never really went in because we didn't understand what the names of the foods were, and it was pretty difficult to ask since we can't really speak all that much. 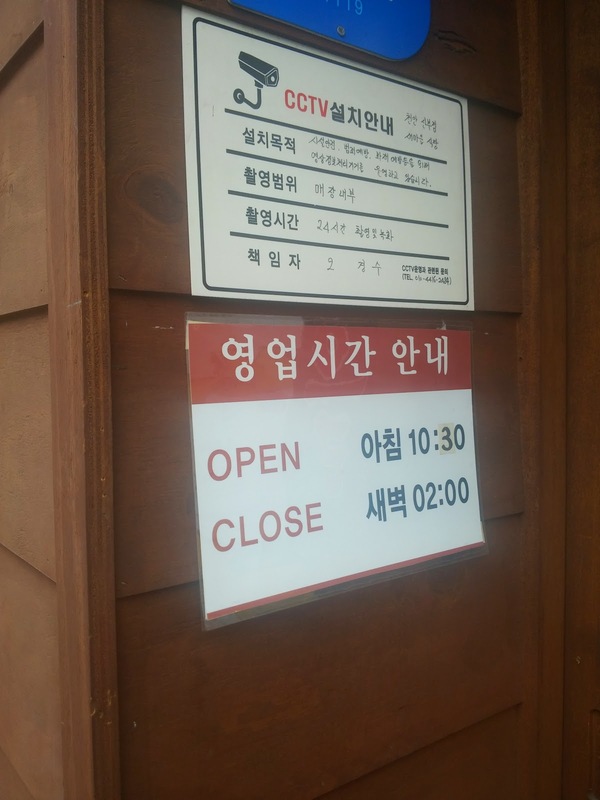 Something funny about the Korean Language. No matter how much we study/learn and do our exams, it's a whole other matter speaking to the locals because if you realize, they speak so fast -_-' More often than not, I only manage to catch the grammar they use and some other words, but the main gist of the thing they're trying to say lies in the vocabulary that they use in the beginning of the sentence, often spoken so fast that I can't catch. Okay, so this is situated in Cheonan Terminal, just a little way off the Baskin Robbins, towards the Wonderplace Shop. 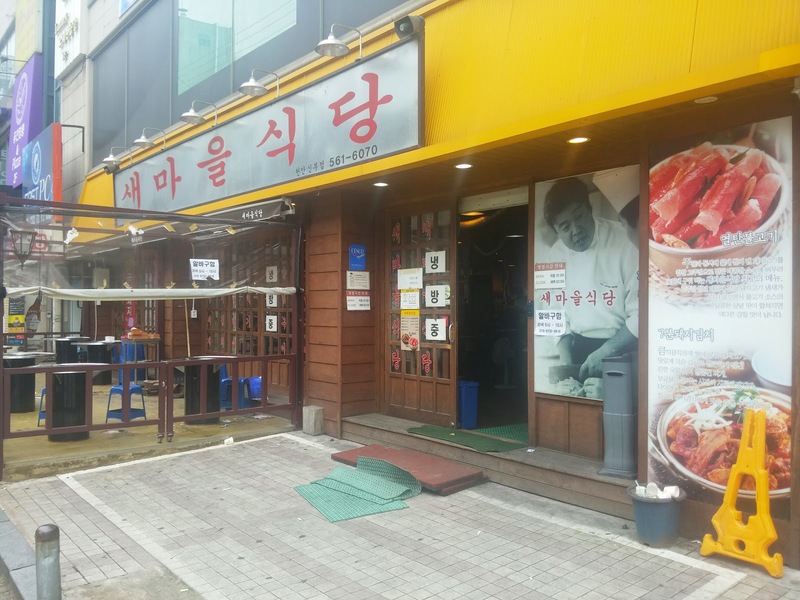 It's open from 10:30am to 02:00am and it's 5,000won per person for that particular dish. However they also serve other dishes that they (apparently) are pretty famous for. They were featured in newspapers and on television too. 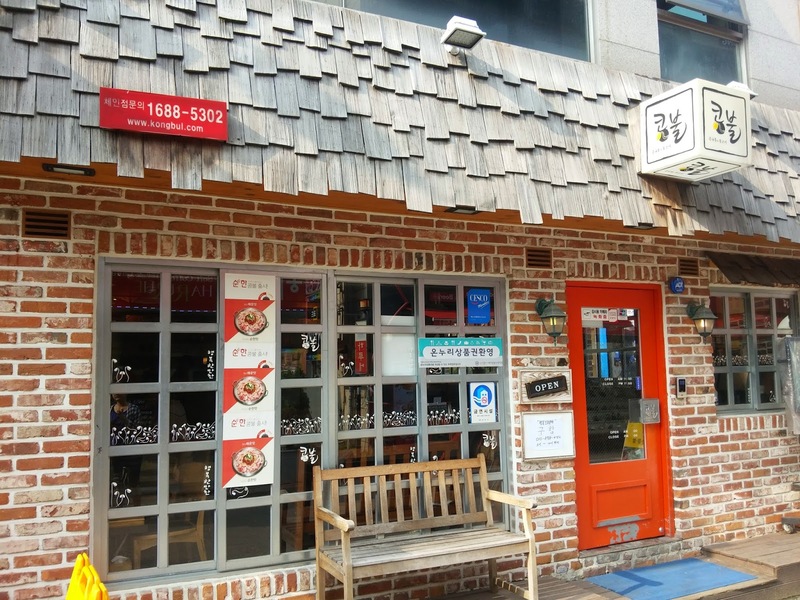 So the funny thing that we noticed was that even though the place is famous for its 7 minute pork kimchi, the people there were all (notibly) eating the 열탄불고기, beef slices marinated in bulgogi sauce and self-cooked over charcoal fire. So I was actually thinking to myself, maybe they're famous for the 7 minute thing but everyone liked the other dish better. Maybe I'll try it next time! 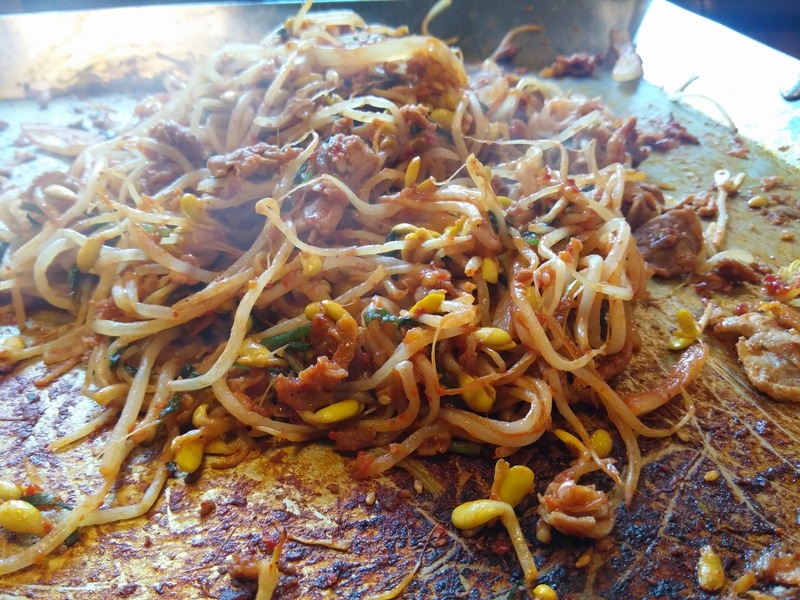 If you're not a fan of kimchi, or don't like it, don't eat it. 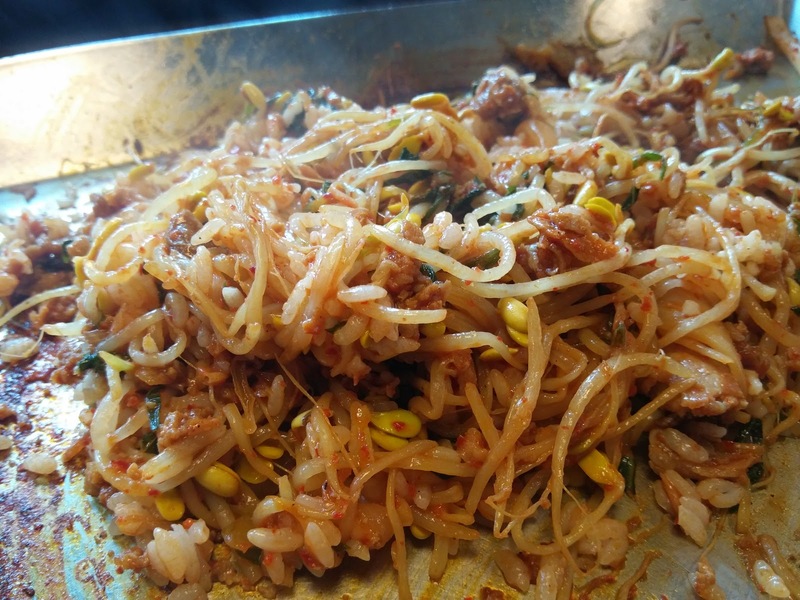 The whole dish smells of kimchi. 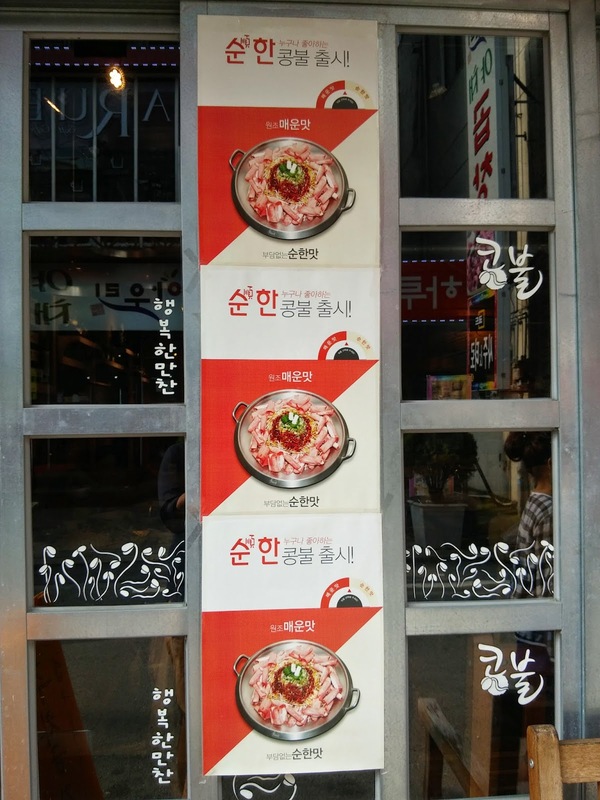 So this dish gets its name from the fact that they make the pot really really hot and then cook the kimchi and pork for just 7 minutes using a timer. When the timer is up, you're supposed to stop the fire and then start eating it. 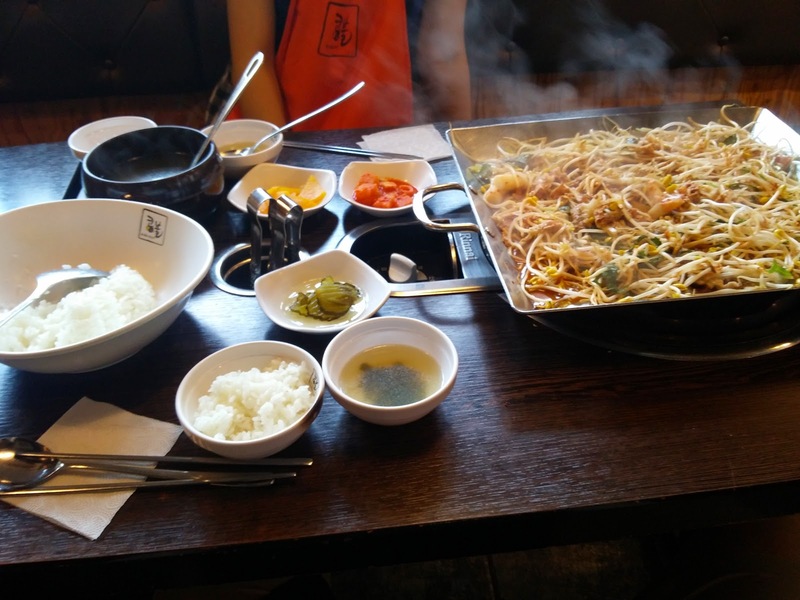 However since there wasn't many people at that time we were there, the waiters kinda did it for us, so we didn't manage to see the authentic way that others eat when it's busy. The good thing about this that I like, free-flow of seaweed! So you ladle a scoop of that pork kimchi into your rice bowl, add some seaweed, side dishes and then mix it together to form a nice sticky rice texture and then you eat it. 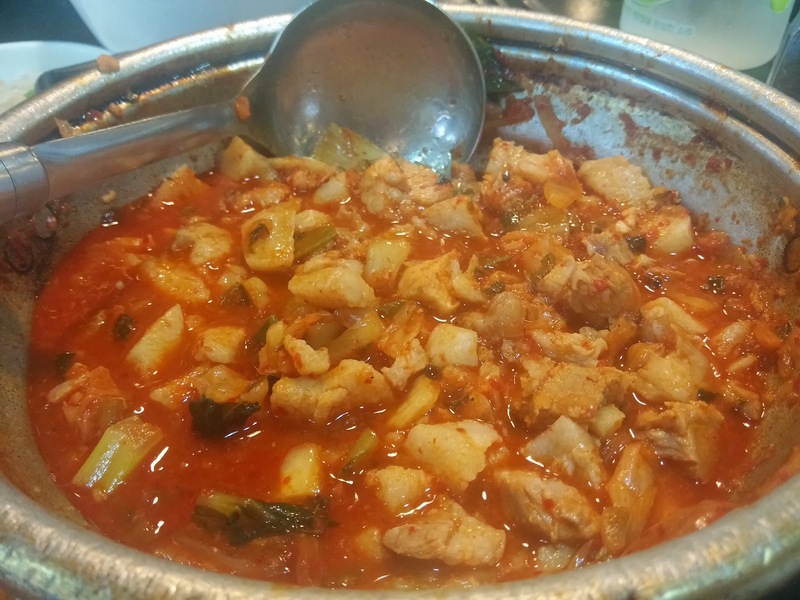 The taste is pretty salty and a little spicy from the kimchi, but the pork is succulent and fatty. However after eating 5-6 mouthfuls you tend to get bored because the taste is all there is. 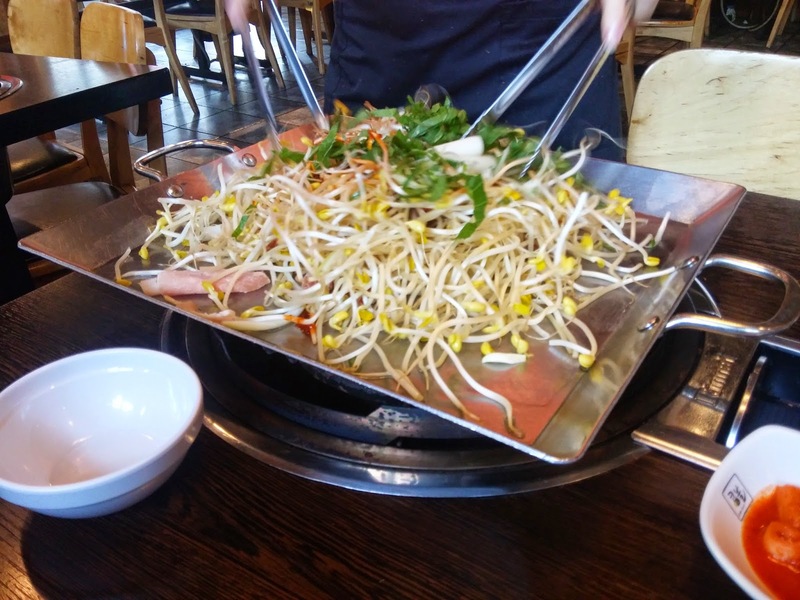 I guess Korean food is mostly like that, and they can really eat and enjoy it just like that. 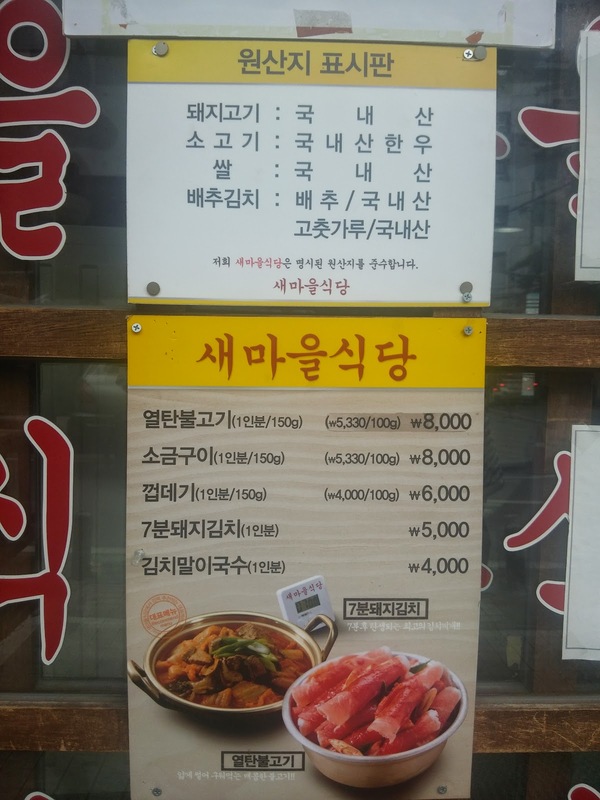 All in all, I wouldn't say it was bad, it's a pretty cheap dish considering the fact that there was a lot of meat and free-flow of seaweed that you could just keep taking for your rice. I'd say a 7.5/10 and it's worth a try if you're into kimchi. For us, we didn't really like it, but I guess that's one more thing that we can. 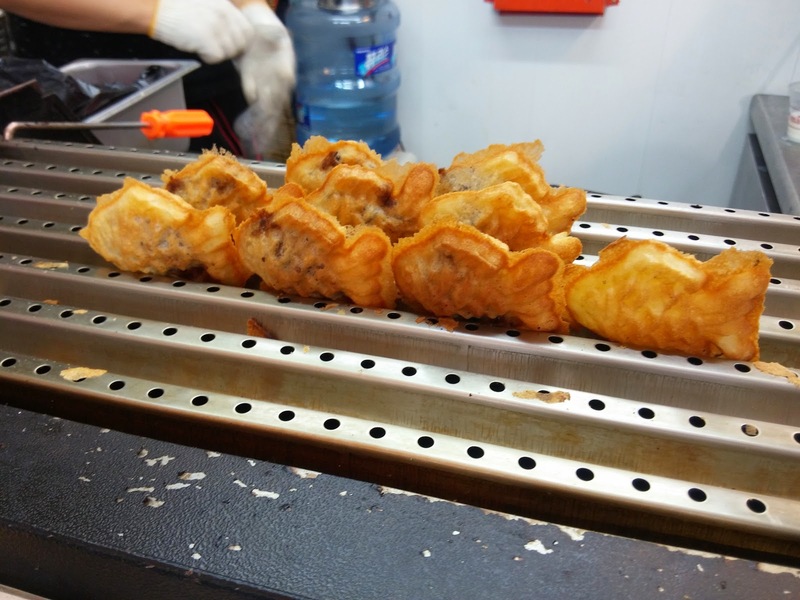 strike off the list of food we want to try before leaving Cheonan! So in front of this restaurant there's a television showing the telecast of some celebrities eating from this restaurant on repeat. 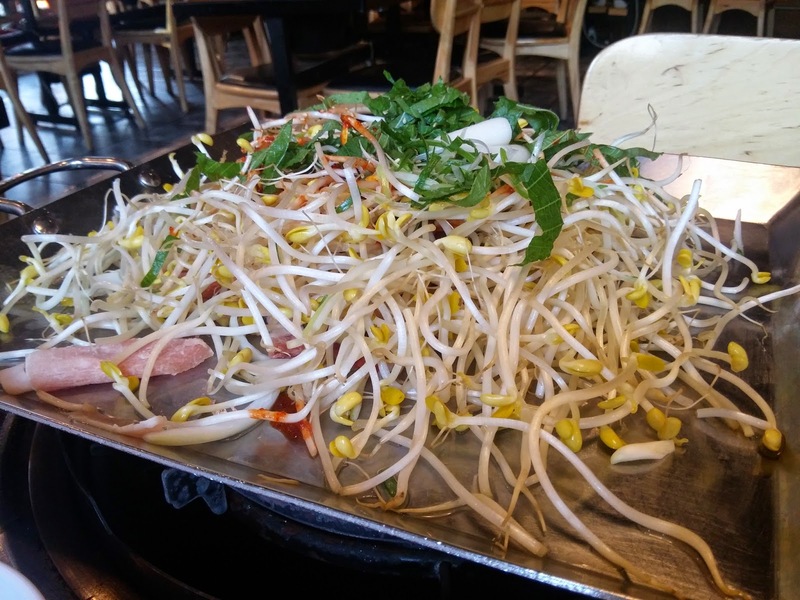 There's a reason why they call it fire bean sprouts. It's supposed to be really really spicy. Well I guess since it's supposed to be really spicy, Pimon really wanted to try it because she's been missing spicy food. So we went for it. There's 2 types of flavors: Spicy (매운맛) and Mild (순한맛) so we kinda asked for the middle since I can't really take spicy food but really like the taste. Me, not so much ahaha. The best part about the dining experience here is that the atmosphere and the place looks really cosy and the lighting is gentle on the eyes. The waiters cook the dish for you, so all you need to do is to wait and take photos before digging in. Being as it is, looking raw at the start, when it's finally cooked and mixed together it looks really delicious. Like Singaporean sambal kangkong. There's a choice of mixing in the rice or not, depending on your preference. Here's a photo without. And a photo with rice. If you add the rice in, it gets spicier each bite. After we've filled our tummies, we took a walk around, looking around at the shops and just talking. So apparently there was this ice-cream shop that we wanted to try because they made it in the shape of roses on cones but always found an excuse not to (fattening, expensive, lazy to queue) and finally one day when we wanted to try, it was gone! And in it's place, was food that I saw during winter/spring. I concluded that they change the menus every season... to suit the climate change. I never really thought about it that way since Singapore is 24/7 summer so the menus aren't always that different. But here, the ice-cream related goodies are only during the hotter periods like Summer. Then since Summer is now ending and Autumn approaching, the new menus are coming back to take its rightful place. This is something they call egg-bread? 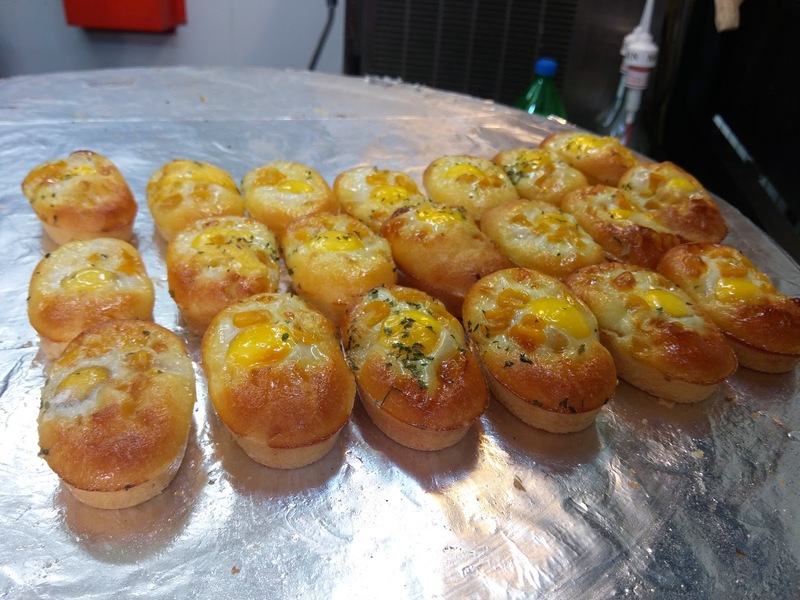 Where it's like a little cupcake bread with egg and cheese, sprinkled with a little oregano on top. It looks heavenly but I haven't had the chance to eat it, despite being here for 6 months hahaha. But I'll try it soon! This fish one, I ate though. There's 2 flavors: one with red bean, and the other with cream. My mother will love the one with red bean. It's crisp on the outside, filled with soft, buttery cream on the inside. And the best part of it all, is that it's 5 for 1,000won. Can you imagine that? In Singapore it'd probably be 5 for $2/$2.50. But ultimately, I'm getting pretty excited that Autumn is approaching, because after 22 years in the heat, I cannot express how much I dislike perspiring everytime I want to go somewhere, feeling sticky all the time and wanting to go back and take a nice cool shower. 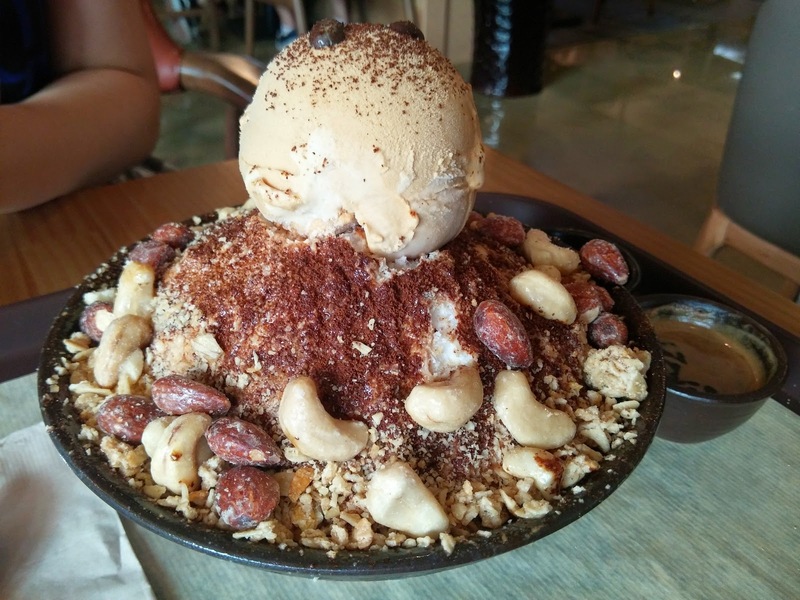 Ended our day with... yeah you guessed it, Bingsu! Hahaha, there's ALWAYS new flavors here in this shop (Korean Dessert Shop) so we always get to try new ones. We were horribly disappointed with this one because apart from the original photo and photos from our friends who have tried it before, there's really little of the granola and nuts that we have in the photo below. I felt so cheated because the best part about that dessert was the rich and generous amount of granola that they put inside. Crispy, sweet, and light, granola is also healthy. 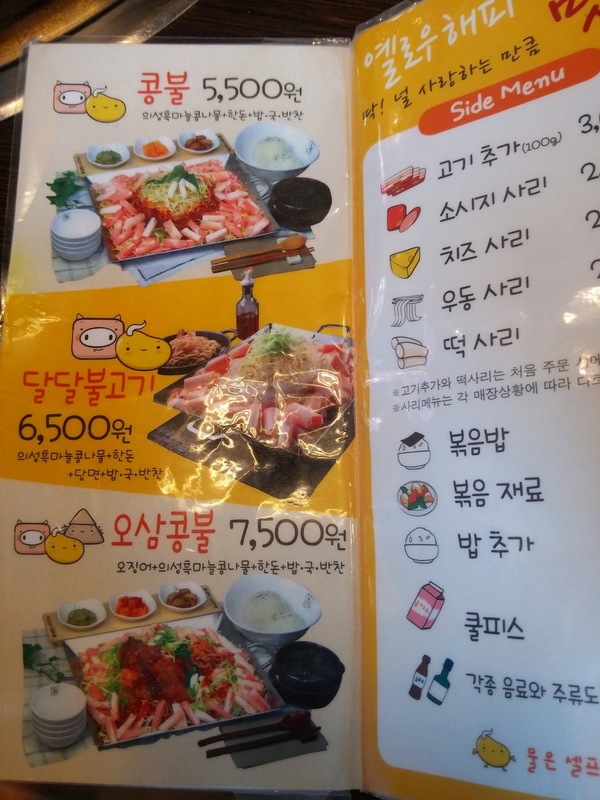 Anyway, this concludes the little food trail in Cheonan, and we will be trying more food in time to come, so stay tuned here. And also, we'll be headed to Seoul for a little food hunt after searching all the food blogs about Seoul online, we're gonna do our little hunt of our own. We'll be going to try "Seoul's Best Burger" and "Seoul's Best Mexican Food" so keep looking here and on my Instagram (@hairlessly) for more information! :D Or click the instagram button above.